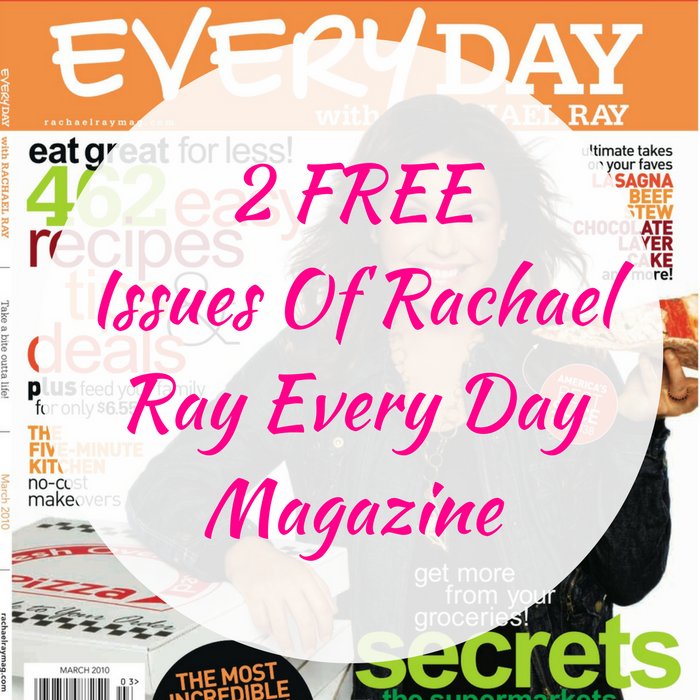 2 FREE Issues Of Rachael Ray Every Day Magazine! You are here: Home / FREEbies / 2 FREE Issues Of Rachael Ray Every Day Magazine! FREEbie Alert! Sign up to get 2 FREE Issues Of Rachael Ray Every Day Magazine (starting October 2017 issue)! All you need to do is just fill out this form to get your FREEbie!